Perhaps the most important way to help children keep themselves safe is teaching them to recognize and handle dangerous situations. A perfect lesson for preschool, pre-k and kindergarten students. Print and go! 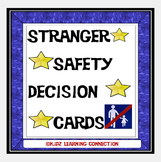 Practice stranger safety with your students using these scenario cards. 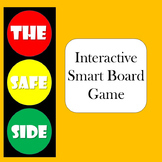 Have students pair up and act out the scenario cards, or read them aloud and talk about possible solutions as a class. 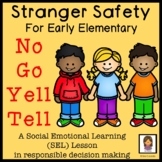 This lesson plan introduces students to the topic of stranger safety though reading story, discussion questions, and writing and drawing their definition of a stranger. As a class, students will create write their own rules for stranger safety. Teacher and student rubrics are provided. A short lesson plan on Stranger Safety that fits with the grade 3 Saskatchewan curriculum.